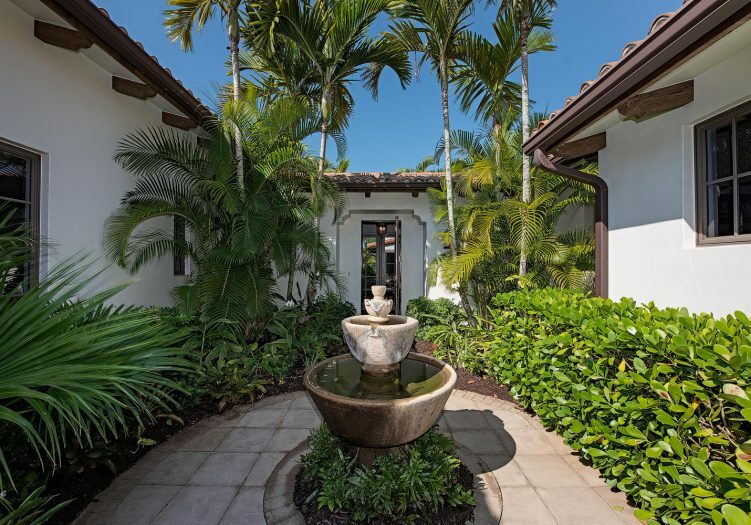 The lushly landscaped courtyard highlighted by a bubbling fountain feature creates a striking entry to this impressive lakeside residence. 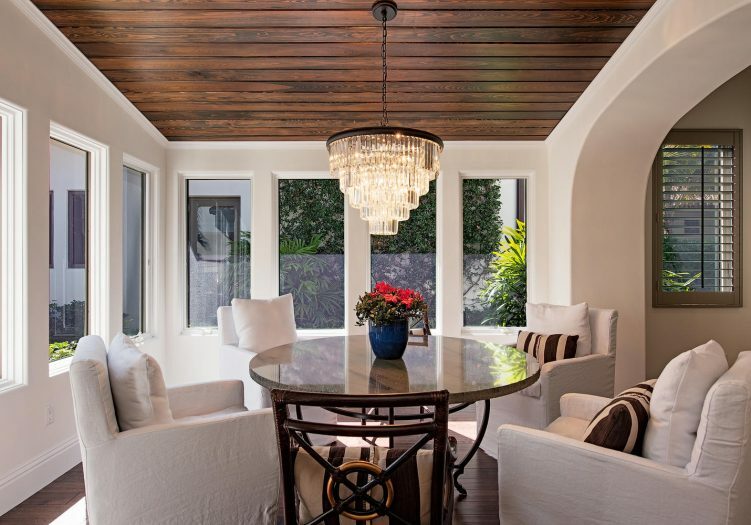 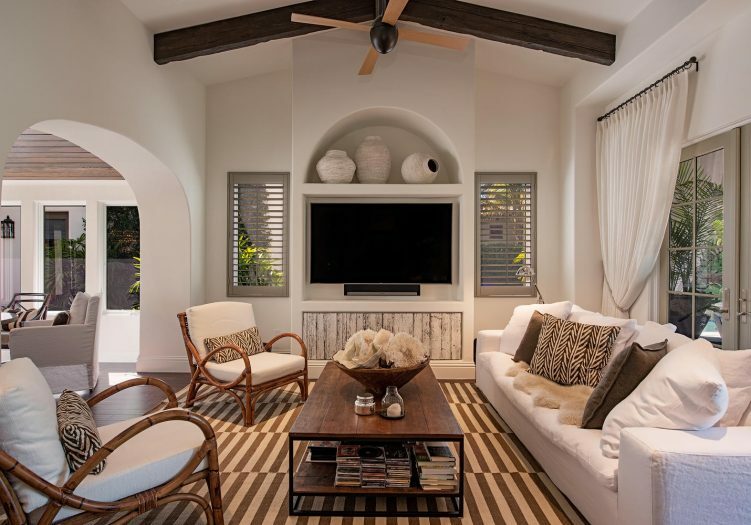 Upon entering you are instantly captivated by the exposed wood beam and slat detail accentuating the volume ceilings as well as wide beveled edged arched passageways and the hand scraped wood flooring reminiscent of old world Tuscan style design. 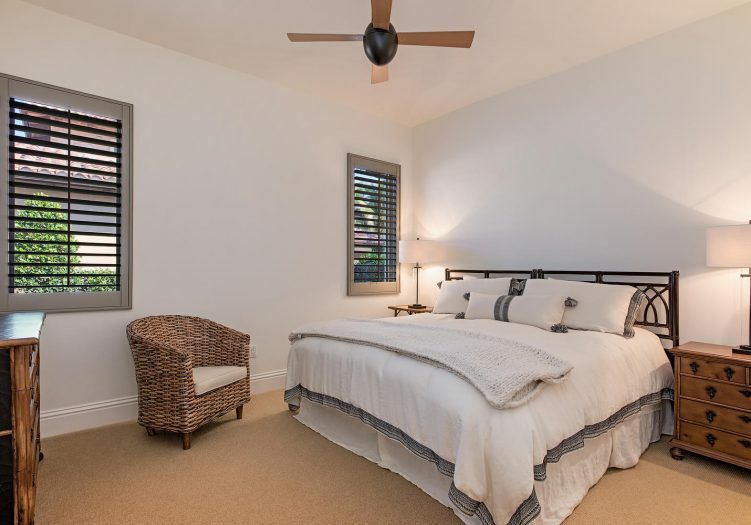 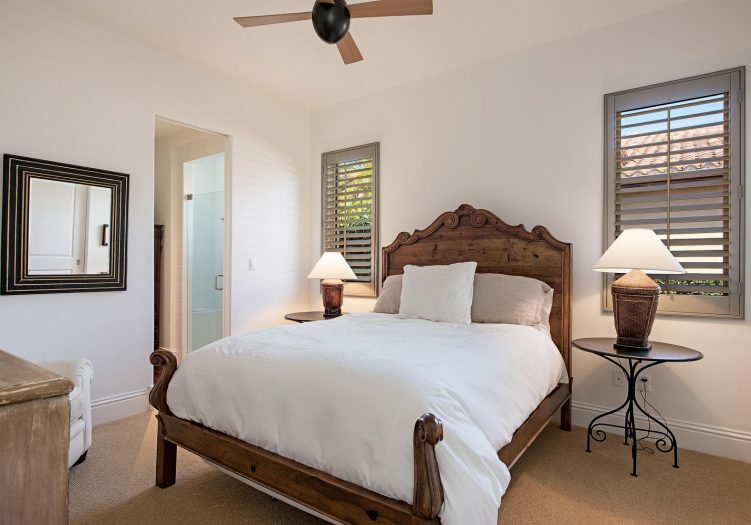 Extensive windows, crown molding, french doors, plantation shutters and plush carpeting in the bedrooms are just a few of the exceptional appointments adding luxury to this outstanding villa. 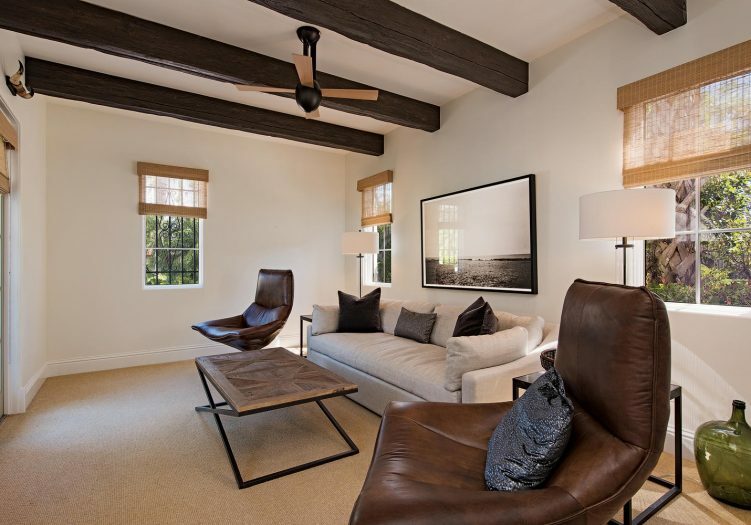 The impressive great room boasts two distinctive gathering spaces including a gas fireplace seating area to one side and a lounging area surrounding the built in media center on the other side of the spacious room. 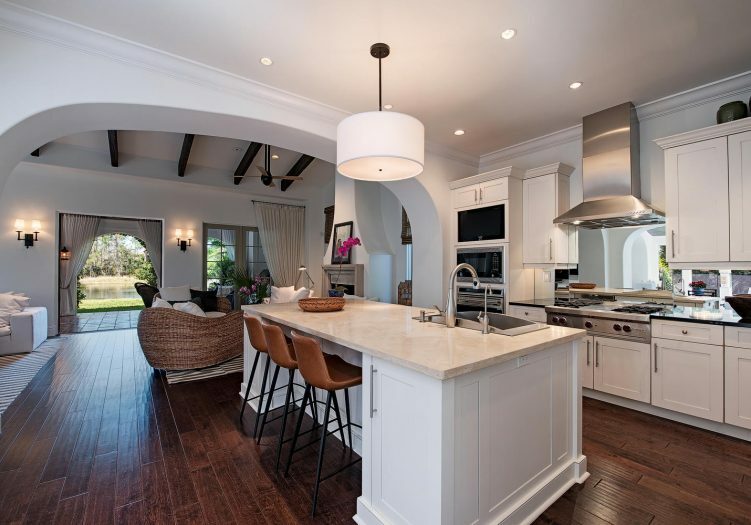 French doors in the great room open to the covered loggia featuring a dining area alongside the summer kitchen complete with a gas built in grill and serene lake views beyond. 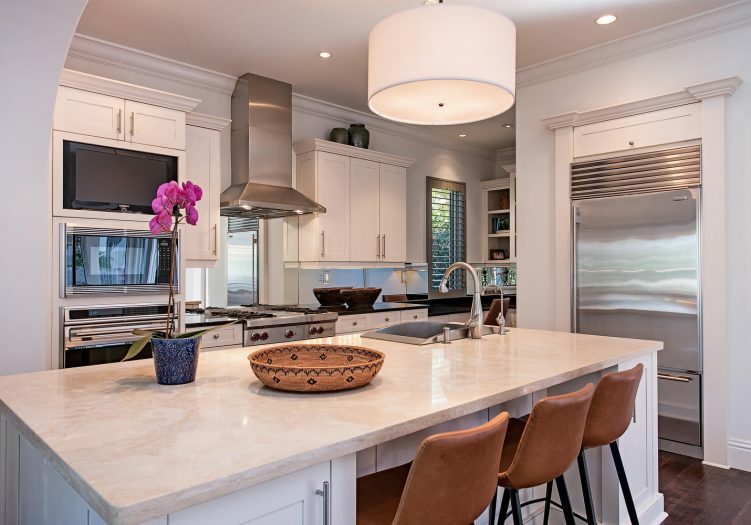 Top of the line built in appliances, beautiful cabinetry and natural stone countertops are found in the gourmet kitchen boasting a large center island with a sensational stainless steel sink and casual bar seating. 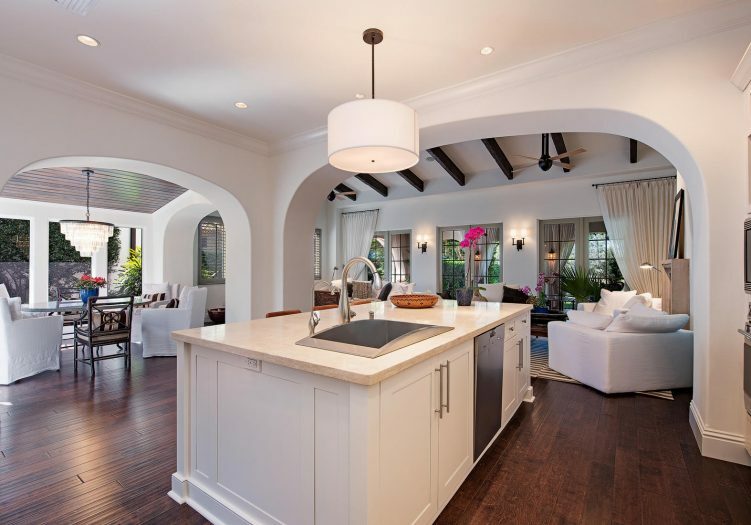 The kitchen overlooks the tasteful dining room with surrounding windows allowing the tropical outdoor views to flood the space. 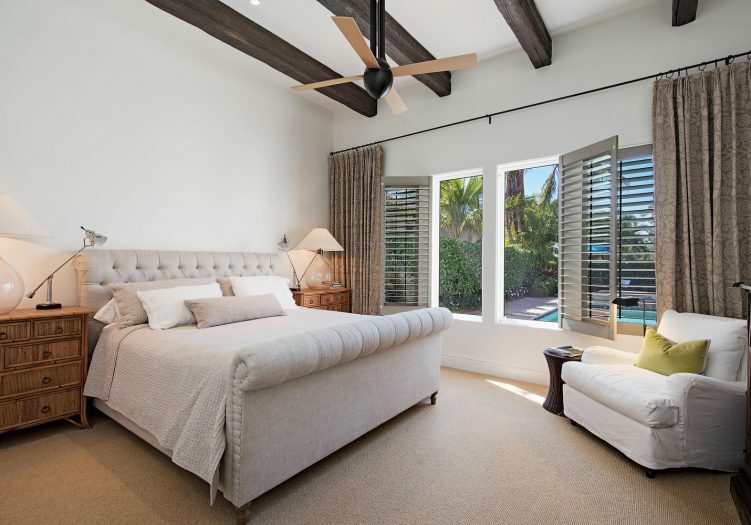 Relax in the master bedroom suite with a seating area alongside windows opening to the sparkling sunlit pool area and boasts a spa inspired master bathroom. 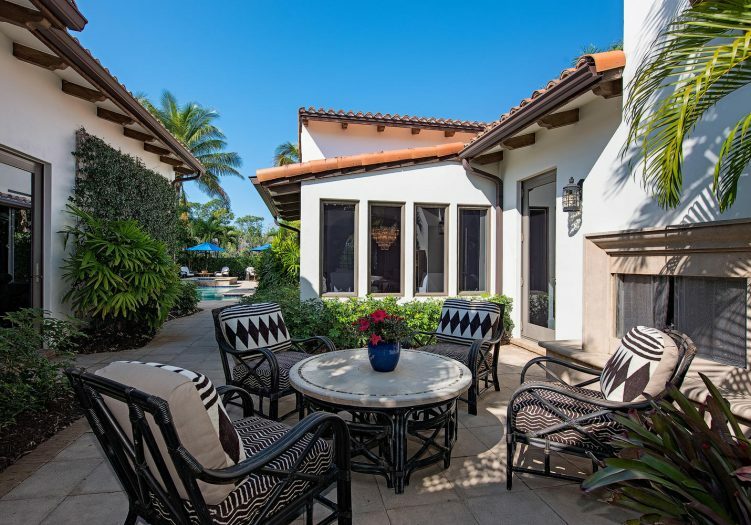 The gas fireplace in the courtyard adds a fantastic element to the intimate outdoor gathering space. 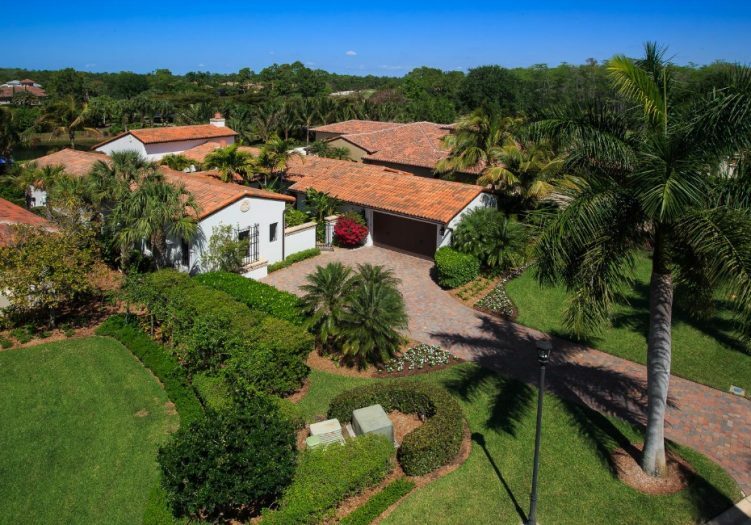 Enjoy tropical paradise while lounging around the sparkling pool or unwinding in the elevated spill over spa. 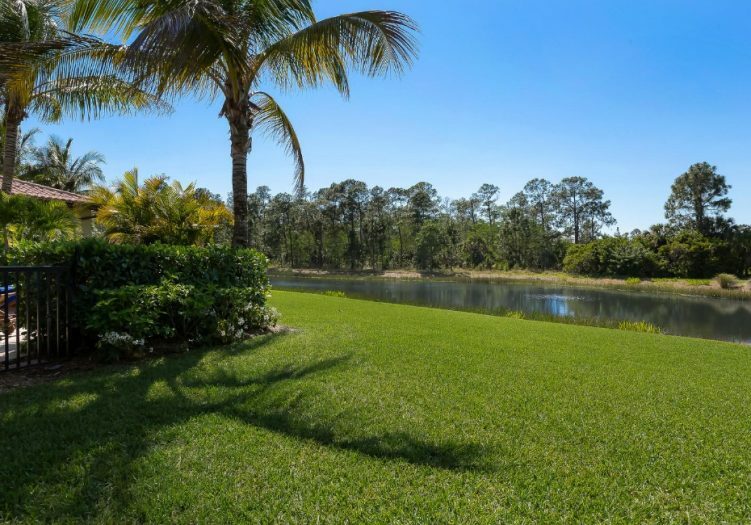 This exceptional floor plan creates endless indoor entertaining possibilities flowing seamlessly to the outdoor living spaces with serene lake and tropical preserve views as the perfect backdrop.